It's been two weeks since the sun came out on a weekend. This week promises some sun and I am so looking forward to it. 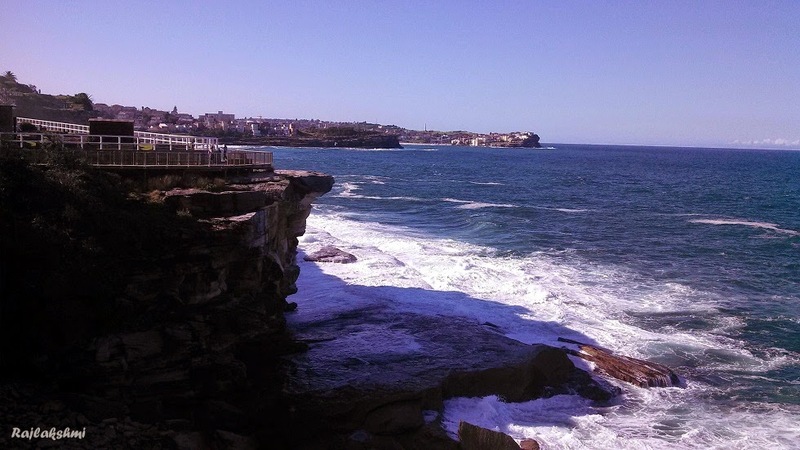 The last time it was sunny in Sydney, I packed my bag and water bottle, and went for the usual Bondi to Coogee coastal walk. I adore cliff views, they look gorgeous on bright sunny days when the clear blue sky is reflected upon lapping water. 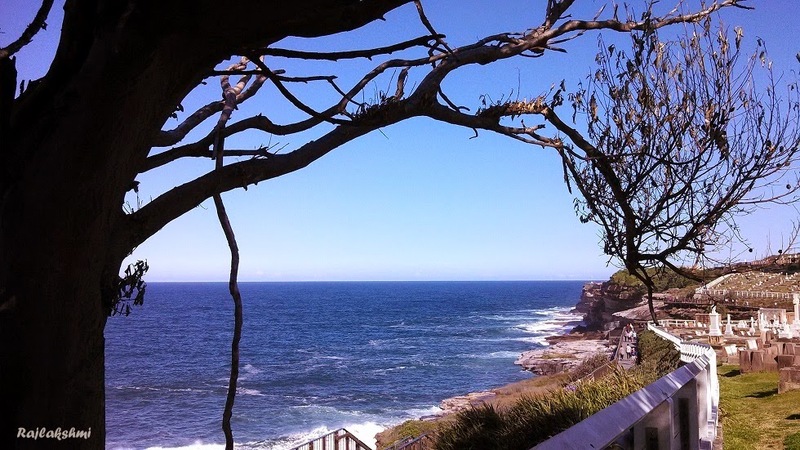 If you are planning for a walk, start from Bondi Beach, Bronte Beach comes right after that. She was reading a book. Her peaceful and relaxed demeanour, colorful dress and a blue bicycle by the side - the setting was perfect for the beautiful day and I couldn't resist clicking this picture. 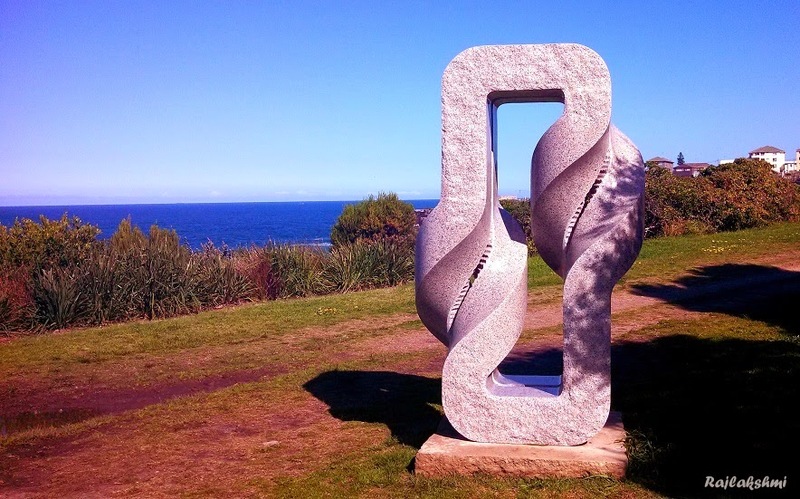 You will also find the Twice Twisted structure - a sculpture by the sea. 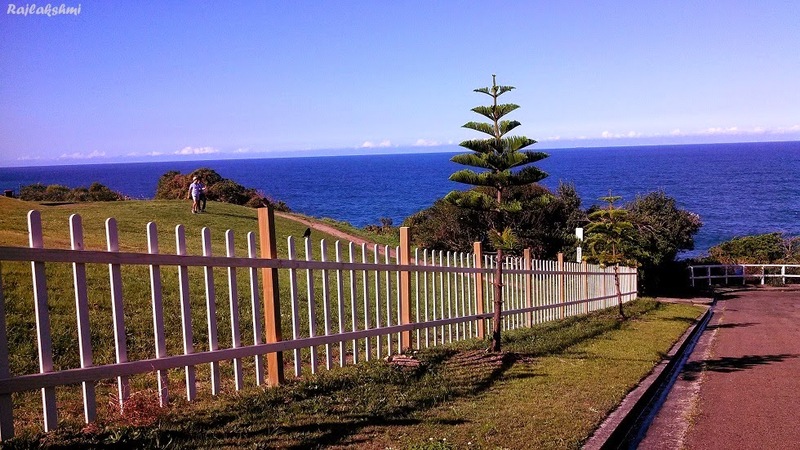 And just next to it is the beautiful Waverly Cemetery, one of the most beautiful burial grounds in the world. A sunny day at the beach never disappoints you. The only downfall of this walk is it's pretty crowded, by both people and dogs. Do you like going on long coastal walks? We do not live near the coast, but I think I would enjoy it. I feel very much like you with the crowded coastal trail. I live near the Great Smoky Mountains and Blue Ridge Parkway. The trails are always congested beyond belief. I don't want to brush up against other sweaty hikers or have someone's out of control dog jump on me. That would be a total violation of my personal space! lol I love your #SWF photos, especially the next to the last shot with the tree framing the left edge and the cemetery hugging the right side. It looks like our seasons will be swapping out soon. 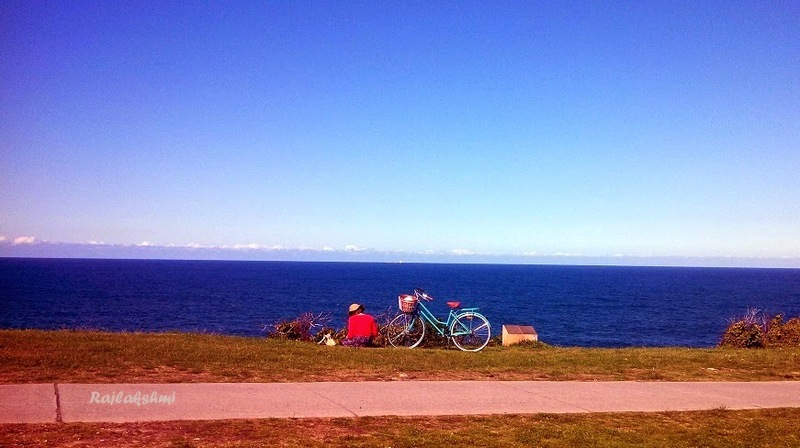 It won't be long before spring weather will be in full swing in Syndey just as we kick off our fall time. Both seasons are wonderful. It's winter & summer weather that I can do without. Spectacular shots! I would love to take a stroll here, breathe in the coastal air! Great serie, beautiful strong colors! Ooof the colour of those waters.. navy blue and purple.. never seen anything like this. It's gorgeous. 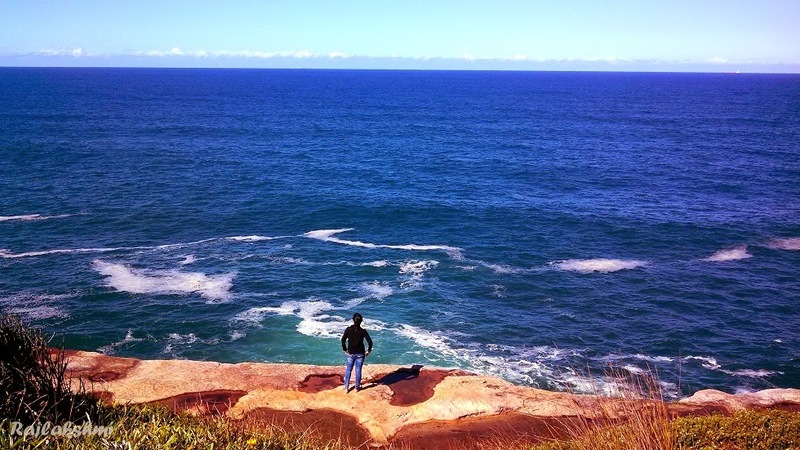 These are absolutely gorgeous photos - I am so envious, as I would LOVE to visit Australia. There is nothing like the open ocean, and I miss it. Thank you for sharing the beauty! With each pic of urs, u take me to places! Wow!! Thanks for sharing! Ah what a wonderful walk to do every time it is sunny and pleasant there, I could do that but I love the couch potato version better! these are beautiful shots. sure shot to cure the blah of daily life. Amazing views, very pleasant to the eyes. nice pics.I wish to visit this place. Your photos are beautiful! My eyes thought they wouldn't see a beach again until next Summer!